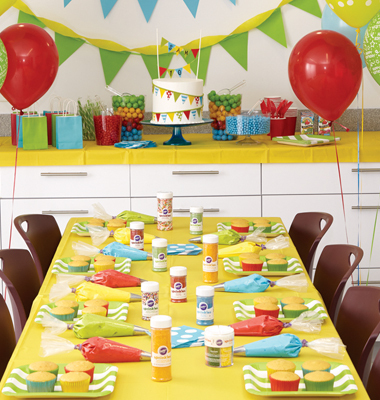 The Wilton School offers kids birthday events as well as private events. 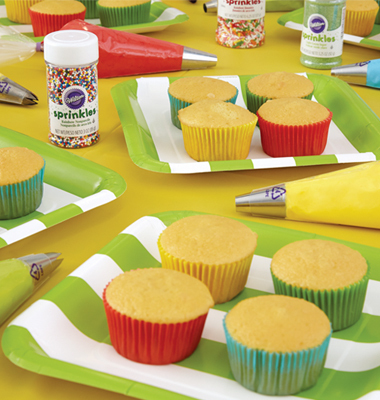 Kids will have so much fun decorating cupcakes with friends and you'll love the convenience! 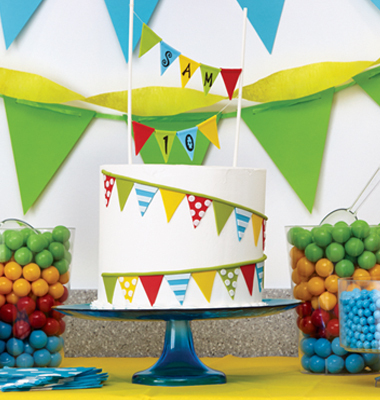 1-tier birthday cake custom made to match your party colors! 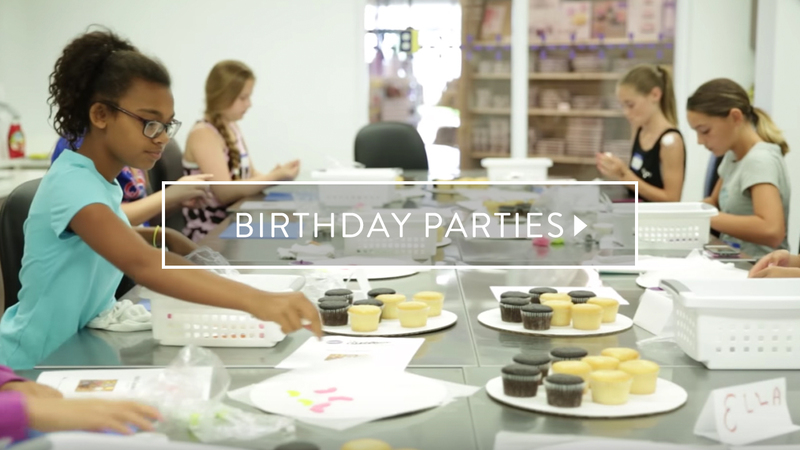 Contact us to find out about our baking, teen/adult, Mom & Me, and fondant parties! Feel free to bring your own prepared food. *Customer is responsible for providing and setting up any decorations.